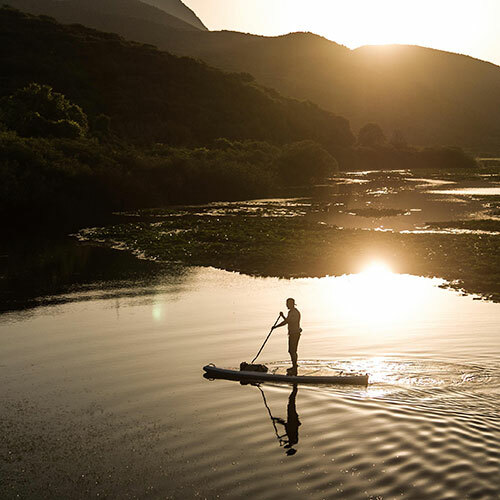 Our SUP Fundamentals course is designed to give you the confidence to paddle independently. This course includes both fundamental personal paddling and safety & rescue skills. On completion you will be able to paddle efficiently and effectively in a range of conditions. You’ll leave equipped with skills to ensure your own safety and that of others, and with appropriate rescue skills to help yourself and others in difficulty. We find people tend go on to buy their own kit, paddle with friends, organise their own trips, and train as instructors – it really does work! We only have eight spaces per course and they always sell out quickly – book soon.